Zakynthos or 'Fioro Levante(=The flower of the east), as it is known from the years of the Venetian occupation, is the focus of the particular Heptanesian culture and birthplace of major forms of the modern Greek culture. The island was struck by a strong earthquake in 1953, but it accomplished to get over the difficulties and it is converted, with a rapid orbit of growth, into an appreciable tourist destination. It is located on the south side of the Ionian Sea and it is 9.5 nautical miles away from the opposite coast of the Peloponnese and 8.5 away from the neighboring island of Kefalonia. 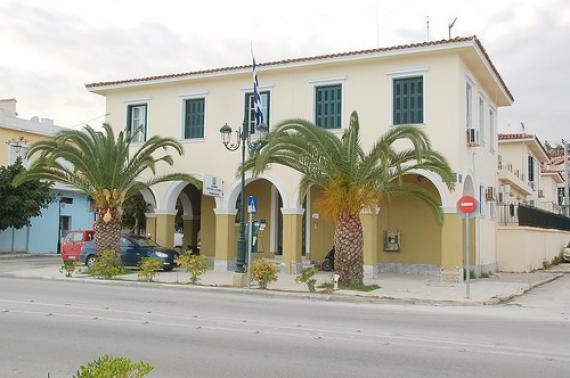 It has regular connection with Kyllini of Ilia, from Skinari and it is connected all year with Pesada of Cephalonia, while it allocates also airport that serves flights from Athens but also flights charter, particularly the summertime. The rural production has not receded despite the tourist growth, and the agricultural occupations turn round the culture of olive, grapes, citrus fruits and small strawberries. The cottage industry of traditional embroideries and weavers, constitutes one still appreciable branch of local economy. The most famous products of zakynthos are the wine Verntea, the exceptional cheese with oil, the nougats and the perfumes. During the days of the festivals, the inhabitants of Zakynthos do not omit to be supplied with nougats with honey from the picturesque tradesmen, outside from the temples.